An armor compilation mod assembled by Hothtrooper44. With great contributions from Eckss. 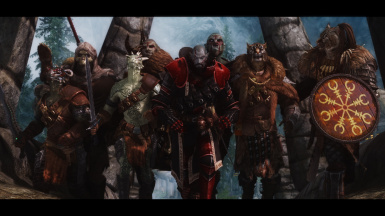 If you're seeking to enhance your Skyrim with a greater selection of armor sets without breaking from the natural feel of the game, this mod is for you. It adds many new armor sets that have been seamlessly integrated into the world. The items are balanced and spread across your gaming experience. You will be finding new, power appropriate armor sets starting from level one up to level fifty and beyond. 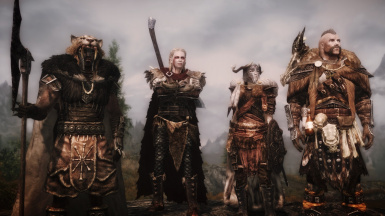 This mod will be constantly evolving to bring new life into your world. 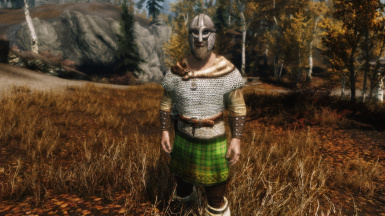 Currently this mod adds 55 new sets of armor to the game (over 60 including variants), tons of additional non-set helmet options, 396 new shields, and a large number of other items such as eye patches, capes, earrings, scarves and more! There are 2693 files in all. They are all craftable, upgradable, enchantable and are integrated into the game through leveled lists, quest rewards, placement in dungeons and/or onto specific people. 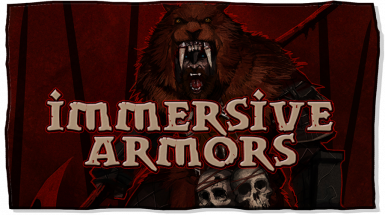 Immersive Armors is highly customizable through the in game MCM menu or spell menu. 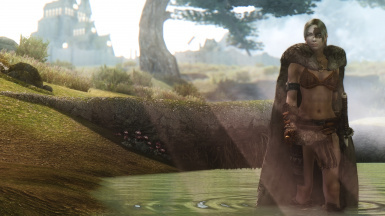 Since at the time there is no MCM menu for SSE, I encourage you to try out the spell menu, found in the shout powers section of the magic menu. I would like to thank the users of my mods, and the Nexus community at large. I am honored to be a part of this community, and to contribute to it. Thank you for your patronage of my work, whether it comes through comments, endorsements or even a kind donation. You are the reason that I spend long hours of work bettering Skyrim. The Nexus community is the reason I continue to create mods. Thank you. Q: The Immersive Armors Configuration has Finished message appears repeatedly. Load a save from before you installed IA. Try installing IA on that save. Q: I am upgrading from version X to version Y. Anything I need to know? A: No. I make installation a one click process for your ease of use. Q: Will you make a CBBE patch? A: Link in the 3rd sticky post. A: This error has nothing to do with my mod. This is an error thrown by NMM 32bit for all large files. For 32bit NMM users, I suggest a manual install. My mod is only 3 files. It is easy to keep track of. Go tell the Nexus staff to fix this. The best way to be heard is to speak. Q: The download for this file on Nexus Mod Manager keeps stopping before it's finished! Help! A: This is a problem with the NMM program, and unrelated to this mod. 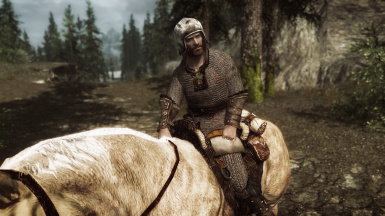 Navigate to C: -> Games -> Skyrim -> mods -> downloads. Delete anything with the name hothtrooper44_ArmorCompilation found there. Also do the same for the cache folder found under mods. Now download again. I would like to personally name the Nexus users who have decided to make a donation for my hard work. Thanks! 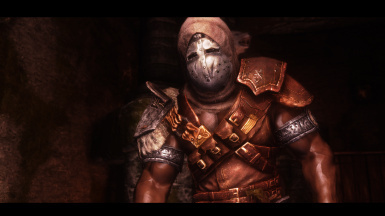 - Delayed most of Immersive Armor's startup processing until after the player's handcuffs are removed. 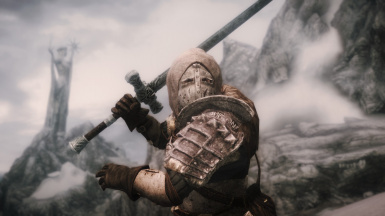 By slightly delaying the run time of Immersive Armor's distribution script, this should aid in removing the bouncing cart from the start of the game when a user with a weaker CPU is running many scripted mods at launch. 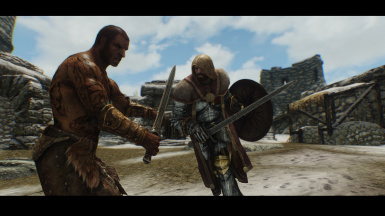 - Increased Alternate Start mod compatibility when selecting the default Helgen start. - Extensively modified the item distribution script for efficiency and efficacy. - Introduced many extra Configuration Menu options - check them out! 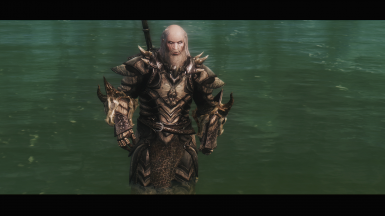 - Updated integrated compatibility for a variety of popular mods. - Included basic English language versions of MCM translation files for all official languages(no more "$" signs for languages other than English in the MCM menu). - Added safety checks to prevent smelting of equipped items. 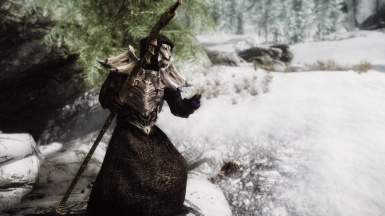 - Multiple minor fixes such as the first person model for Ebony Mage Armor being altered, etc. - Tribunal Masks have been changed to use the mask slot. - Gold Earrings have been changed to use the ear slot. - The Eyepatch has been changed to use the misc slot. - Bandannas have been changed to stop them from hiding the misc slot when worn. - A menu option has been added for compatibility with "Alternate Start" mods. 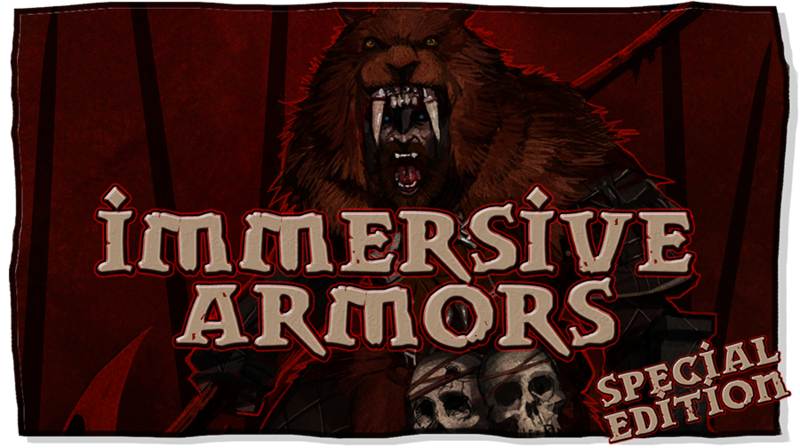 - A menu option has been added to remove the quest and gameplay based requirements for crafting armors. - All weapons have been removed from this pack in light of the new "Immersive Weapons" mod that can be located HERE. - All armor in the forge will now be found under a custom crafting menu "Auxiliary Armors". - Ground models (what you see in the forge or in your inventory) were updated for every item in this pack. - Full racial compatibility was updated for every item in this pack. - Full gender support was updated for every item in this pack. - The leveled lists were reworked to spawn the items more often. 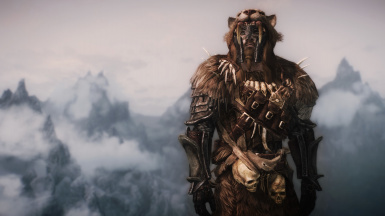 - Removed the hanging fur hood varients from the lvled lists (still craftable) and from guards for less clipping with Cloaks of Skyrim and other such mods. - The crafting materials were reworked for every item in this pack to be more intuitive. - Prices of many items were reworked for balance. - Changes were made to Barbarian and Mercenary armor sets to help with bad blood decals. - Alpha layer edits were done to better the Mercenary Armor set. - Alpha layer edits were done to better the Heroic Imperial Armor set. - The textures of the Heroic Stormcloak Armor set were reworked to fix the issue with users running on low quality texture settings. 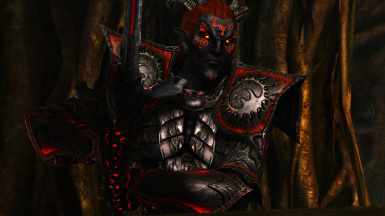 - Fixes were made to the arms of the female version of the Warchief Armor since they were out of line. 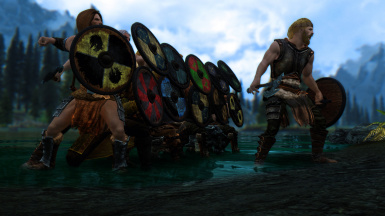 - Fixes were made to fix the invisible calves / forearms of the Viking Heavy Armor set. 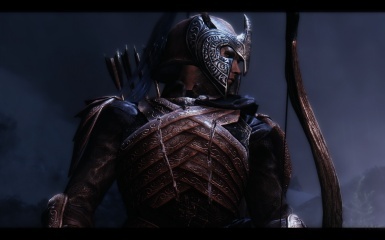 - The Crowned Hood for the Dragon Hide Armor was removed. 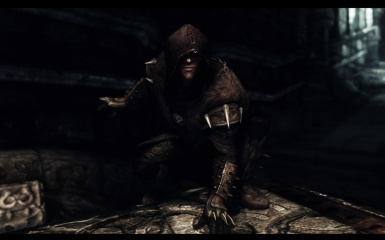 - The Dragon Hide Hood varient for humans was changed. 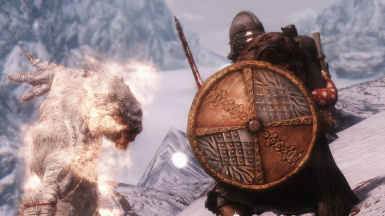 - The stats and perks required for the Dragon Hide Armor was moved from cloth to Dragonplate based on user feedback. - The Witchplate Armor no longer appears on Vigilants of Stendar but instead rarely on Warlock bosses. 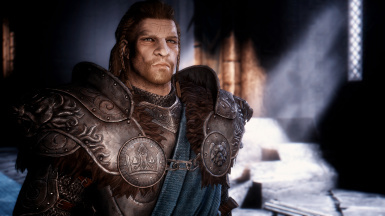 - The no-bones versions of the Einherjar Armor have been removed to avoid confusion. - The boneless version of the Warchief armor is now the light version of that armor for the females. The heavy version for the females has bones. - The old Vagabond helmet has been removed and it has been replaced with a new one. 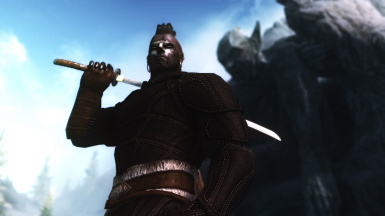 - Fixed an issue with the gloves of the Dragon Hide Armor that caused invisible forearms. - Fixed an issue with the Spellbinder/Paladin/Hedge Knight Armors that caused invisible forearms. - Reworked the scaling on many female helmets to make them better fit. - Fixed issues with the Vanguard gloves and boots and body slide scaling. - Renamed the Vagabond Armor variants to be more lore friendly. - Adjusted the Vagabond Leather Armor sleeves to fix a misalignment issue. - Added more helmet variation to some guard factions. 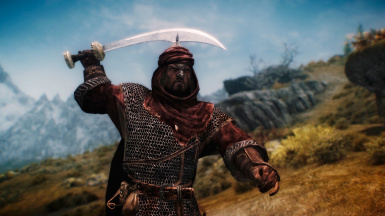 - Removed the Redguard Knight Armor with the cape, and instead made the cape standalone and you can choose to equip it with the Redguard Knight Armor or any other armor. 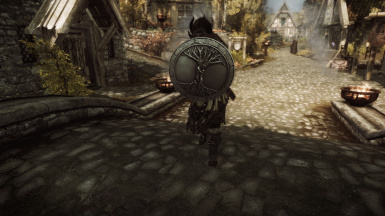 - Fixed a normal map issue with the Falkreath Shield. - Moved the Heroic Imperial Armor off of low level Imperial Captains for early game balance. This set will now have a 50% chance to spawn on Imperial Captains over the level of 20. It also appears on Hadvar for sport. 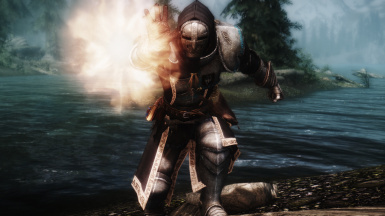 - "Spellbinder Armor" by me(hothtrooper44) has now been included in this mod. 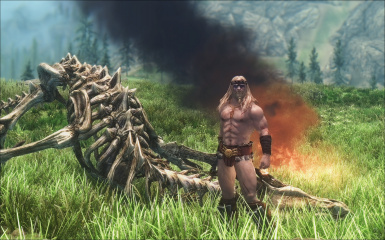 - "Stag Skull Staff" by me(hothtrooper44) has now been included in this mod. 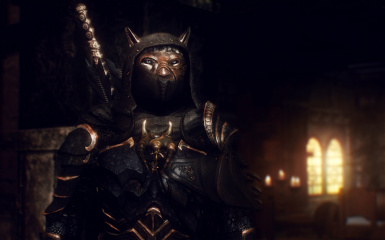 - "Witchplate Armor" by Telthalion has now been included in this mod. 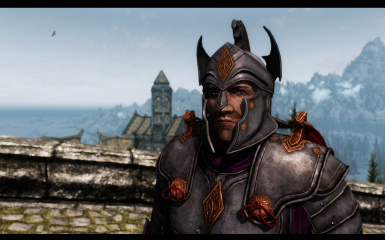 Wearing the Dwarven Mage Armor: "That's some fine armor, Dwarven make, am I right?" 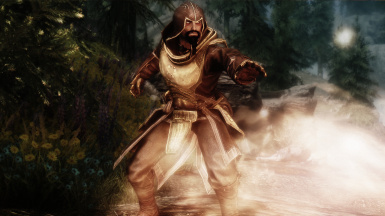 Wearing Heroic Stormcloak Armor, an Imperial might say: "How dare you wear that Stormcloak filth here!" Wearing Mercencary Armor: "That's the armor of a mercenary right there." There are 1-4 lines for every piece in the mod! 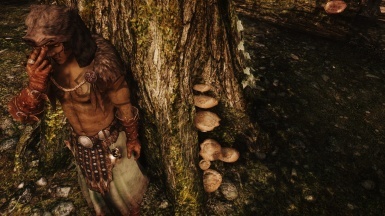 - Placed Ulag's Sack in the Sleeping Tree Cave as intended. - Re-balanced Hunter armor to require advanced armors perk to smith, and have scaled armor stats as intended. - Re-balanced Warchief armor to have Orcish stats as intended. 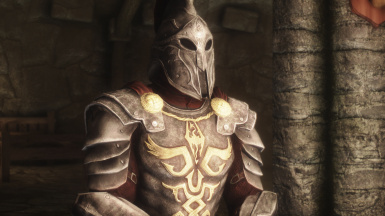 - Re-balanced Einherjar armor to have ~steel-plate stats which better fits its perk requirements. - Re-balanced the boots and gloves of the Mercenary Armor set. 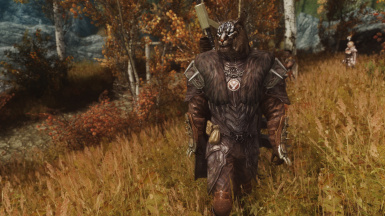 - Added default race tags to the fur hoods for custom race compatability. - Added vampire race tags to Seadog Tricorn so it will appear on vampires on trasformation as intended. 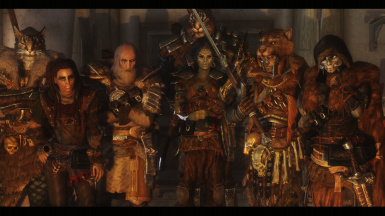 - Removed the Paladin Armor set from the Vigilant Officers, and replaced it with Witchplate Armor. Paladin armor is now craft only as requested. - Fixed blood decals on the Wabba Jackhammer. - Fixed a graphical error on the Mercencary Armor set with alpha edits. - Removed the enchantments and extra armor of the Vanguard helmets. 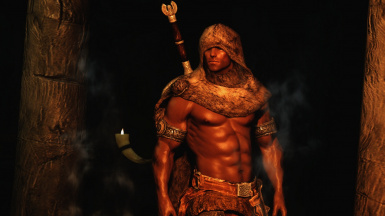 - Increased the level to find Ranger armor from 1 to 16 as was intended. - Fixed crafting component bug for the Hunter Armor set. 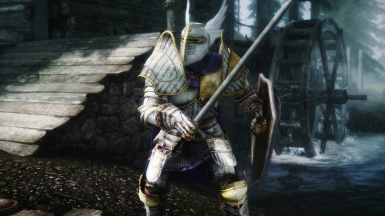 - "Apotheus Light Armor" by GuitunScarfin has now been included in this mod by the author's suggestion. This is truly a well made set and the lore back-story is top notch. 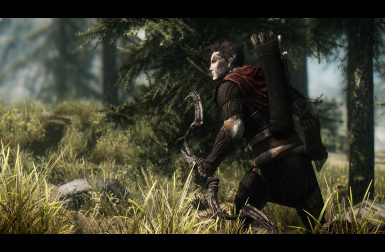 - "Nordic Hunter Light Armor" by frankdema has now been included in this mod by the author's suggestion. One of the best sets for a hunter themed character without a doubt! 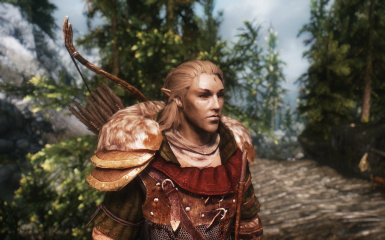 - "Heroic Stormcloak Armor" by lumps has now been included in this mod by the author's suggestion. 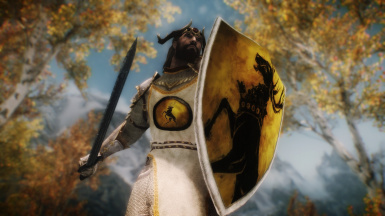 This is a great compliment to the mod as it adds an upgrade to the Stormcloak side similar to the "Heroic Imperial Armor" already in the pack. 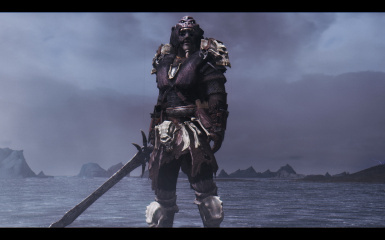 - "Seadog Armor" by me (hothtrooper44) is now included in the mod. - Some earnings created by humannature66 from "HN66s Earrings" were added. - "Paladin Armor" by me (hothtrooper44) is now included in the mod. - Added an optional UNP support download for users that prefer that female body model. - Fixed the first person mesh of the Hedge Knight Armor to better fit the set. - Ran a texture optimizer over all files. - Fixed an issue that was making a couple of the fur hoods invisible. 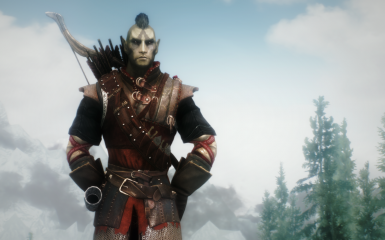 - Removed the Falkreath cape from the mod. - Fixed an incorrect path with the Dwarven Mage Argonian Helmet. - Fixed a crafting issue with the Redguard Coif. - Corrected some incorrect biped object slots for 2 Argonian helmet variants. - Fixed an issue that was making the Aegis of Life invisible. - Fixed some crafting recipes for the Einherjar set. - Fixed an issue that made the fur hoods uncraftable. 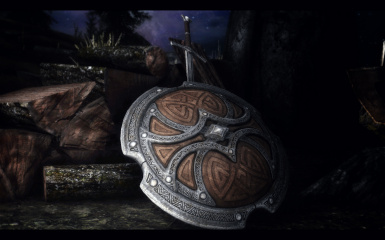 - "Einherjar Armor" by Omesean has now been included in this mod by the author's suggestion. There couldn't be a better armor set to fit into this pack, thanks Omesean. 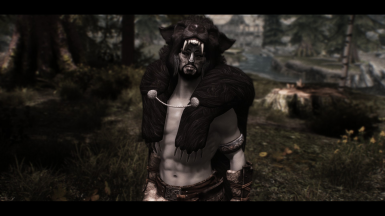 - "Fur Hoods HD" by Northborn has now been included in this mod by the author's suggestion. 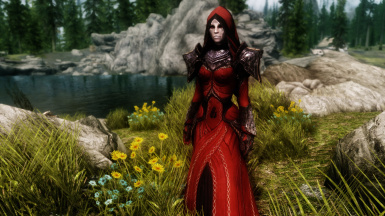 This hood pack is fantastic and 100% lore fitting for the tundra of Skyrim. Amazing work Northborn, and thanks. - A new "relic" shield has been added to the pack. It's called "Aegis of Life" and can only be found on difficult NPCs at level 50+ with a very low drop rate. Alternatively, it can be crafted with the Daedric smithing perk. - Integrated new items into leveled lists. 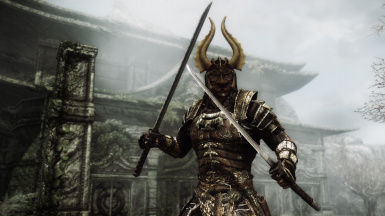 - Added Akaviri Samurai Armor set into the Skyhaven Temple. - Fixed the bug with the grey variant of the Vagabond Boots that was causing it not to appear. - Fixed a bug that caused the Vanguard Gloves to not upgrade at a workbench. - Fixed the armor value difference in the no bones female version of the Warchief Armor. - Added perk requirements to craft the Redguard Knight set as intended. - Fixed an issue that was not allowing the use of cloaks with the Hedge Knight set. - Fixed the spacing in the name of the Hedge Knight Gauntlets to display correctly. 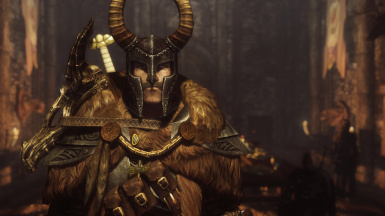 - Changed the name of the "Baratheon Armor" set to "Falkreath Armor" to better fit lore. - Reworked some assets to lower the size of the file. The fully detailed credits for each set is listed on the individual post for that set, and is linked at the bottom of this post, or the original posts of items made by other authors. All the encouraging users of my mods – you are the reason I keep going, thanks! Parts of these armor's meshes and textures are owned and copyrighted by CD Projekt and used here with permission. The Witcher is a trademark of CD Projekt. All rights reserved. http://www.cdprojekt.com/ Please visit the individual armor posts linked at the bottom of the page for details specific to each set.